Roofing Fabricators In Chennai and Cool Roofing Solutions With deep experience of Roofing Fabrication In Chennai, we are engaged in presenting the best Roofing Fabricators In Chennai. A team of skilled workers are support us to provide perfect Cool Roofing Solutions In Chennai for Residential Terrace Roofing Coverage, Cool Roofing for Terrace and Cool Roofing for Industrial Terrace Sheds. To add, available services are extremely in demand among customers for consistency, cost effectiveness and flexibility. 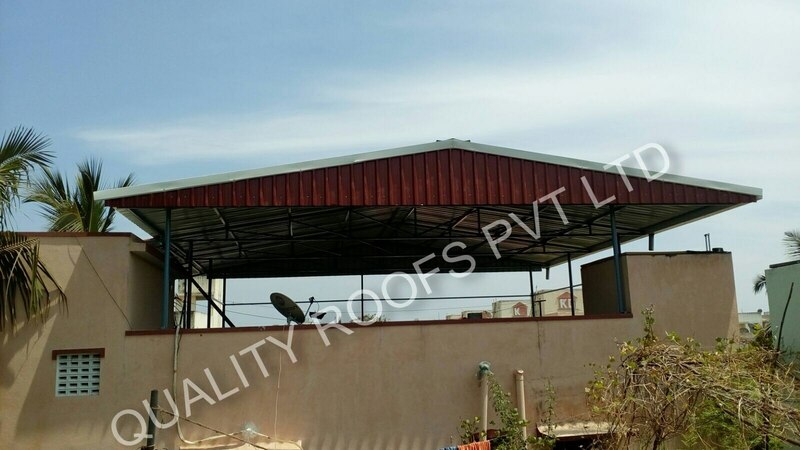 We are involved in submission the best Cool Roofing Solution for Terrace like Industrial Terrace Shed and Residential Terrace Sheds In Chennai and also specialist in Polycarbonate Roofing Services In Chennai.